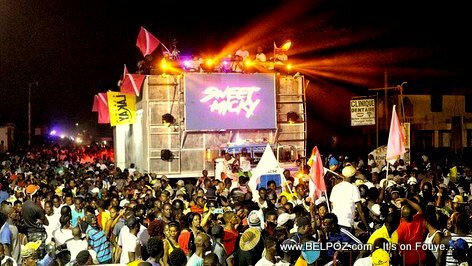 My fellow Haitians, this is your last chance! After this there is no turning back! 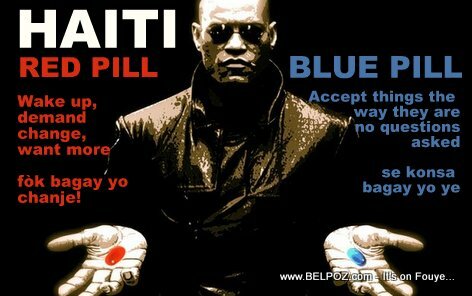 You take the BLUE pill, and you will accept things just the way they are, Haiti will remain the way it is (se konsa bagay yo ye) Haiti will never change (Ayiti pap janm chanje) AND your life will never change! You take the RED pill and you wake up, you challenge the status quo, and you begin demand more from the Haitian authorities because you know you deserve more, you deserve a better country, a better standard of living and a better quality of life. 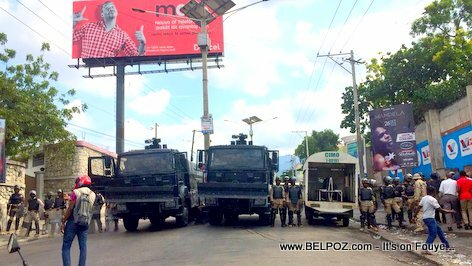 After it was announced by opposition leaders Andre Michel and Schiller Louidor that a street protest would be heading to Petionville this Friday November 23 2018, to "tallk the rich people in Petionville into letting go of President Jovenel Moise," Haitian police took the initiative to prevent these protesters from reaching that destination. 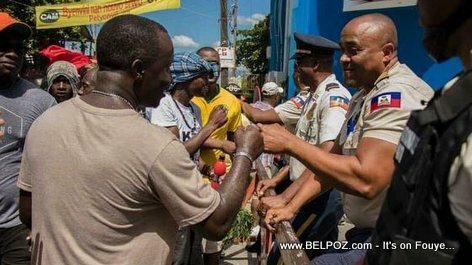 At Delmas 60 agents of the CIMO unit of the Police National barricaded the road and threw lots of tear gas in an attempt to disperse the protest. 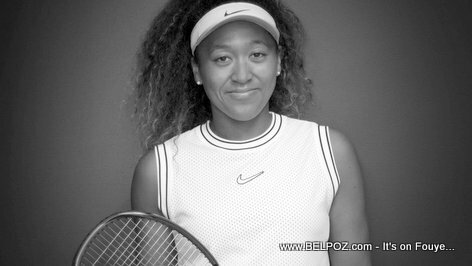 As of 2pm Friday, journalist were beginning to announce that the protest was falling apart. Here is a photo of Haitian-American rap superstar Wyclef Jean posing in front of a mural of himself unveiled in Newark New Jersey, Monday October 15 2018. 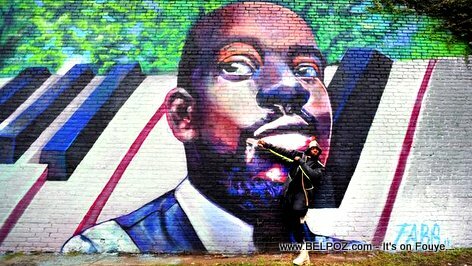 The mural of Wyclef Jean was painted by Englewood artist Camille Cote. Wyclef was there for the official ceremony held by the Grammy Museum Experience Prudential Center. 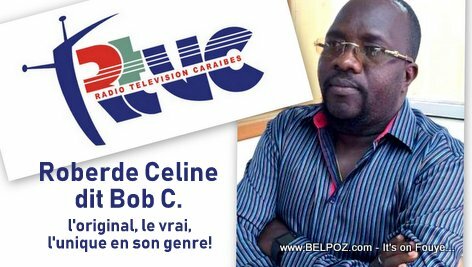 Haitian Journalist Robert Celine dit Bob C. has returned to Radio Caraibes FM after almost 6 months of absence. Bob C. made this comeback on October 23rd 2018. Welcome Back Bob C. We missed you! L'original, le vrai, l'unique en son genre! 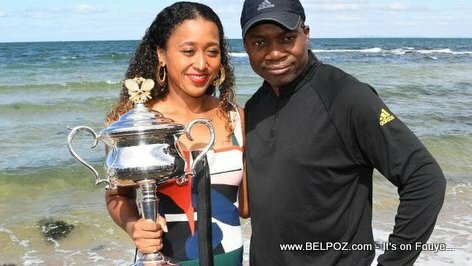 They say a picture is worth a thousand words... Look at the FEAR in the eyes of this poor Haitian woman during a street protest, captured by the lens of a photographer for Le Nouvelliste during the October 17 2018 street protests. 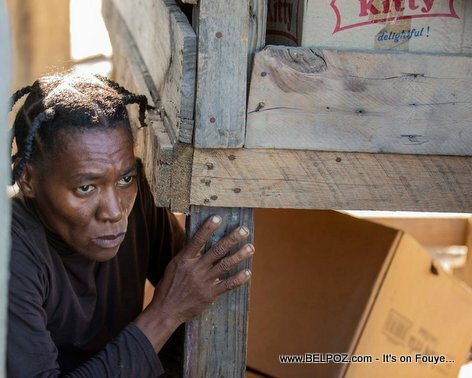 For those of you who are not used to the reality of Haiti, this obviously poor Haitian woman tucked herself under a 'bak machan', a table like wooden structure used by street vendors in Haiti. She is clearly afraid of something. 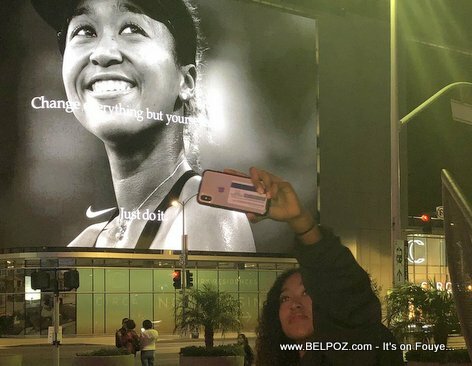 She fears for her life!